what is the state of my bucket list? What travels do I still want to do? and with whom? What do I still want to achieve in my work and am I on track? How well have I been looking after my dreams and visions for my life? Am I looking after me to the very best of my ability? I know the person we have the most power over in our lifetime, is surprisingly, our future self! Reflect for a moment – be still and think about your future self and what you want that person to be, in all dimensions. 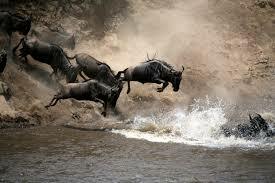 The picture is of the wildebeest crossing the Mara River during the migrations in Kenya and Tanzania. 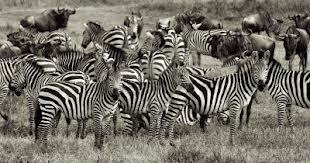 I have seen it before, but want to share it with my children, who like me, have a passion for those precious and increasingly rare wild places, where en masse- the animals roam free. We stayed at the main Governors Camp last time, (www.governorscamp.com) and just loved it.